The Virgins could have come out of practically any era in the last 30 years. There's something seriously enigmatic about their sound and an inner soulfulness which runs right through Strike Gently and keeps the record's heart beating and its groove ticking over. Opening track 'Prima Materia' is a prime example of how the band's sound takes you to places far and wide. At times you feel like you're listening to an 80s pop song, then, when the guitar licks kick your teeth out, it feels like a totally different ambience altogether. A song like 'What is Moonlight' is an example of the band bringing the rhythm to an almost Bryan Adams-style of old school pop-rock. Sure the vocals aren't always amazing but they can be forgiven due to the real groove which flows through every pore of the album. There are missteps, though. 'Impressions of You' feels like a stroll too far in the tongue-in-cheek direction which is underplayed on most of the record. However, the few tracks that don't quite work are easily out-balanced by the majority of the record, which glides along at a variety of paces. 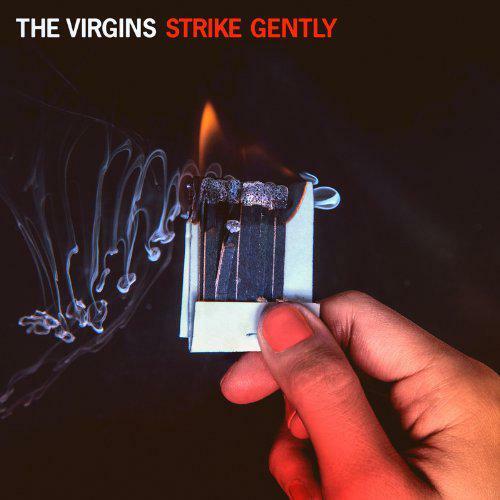 Strike Gently feels like it may be the making of The Virgins. Overall, this record has tons to offer, not only a real resonance but the feeling of serious imagination and ingenuity coming out of New York City. It may not get as much attention as it deserves but that changes nothing in terms of its quality and diverse nature.